A Gurn from Nurn: Gurn opinion: Let’s not play Russian Roulette with the paddling pool with massive cuts on the horizon! Gurn opinion: Let’s not play Russian Roulette with the paddling pool with massive cuts on the horizon! time to be thinking along such lines. It may be worthwhile trying to put in a lottery bid for playground cash for elsewhere in town on the lines of the Ardersier bid but the times they are a-changing for the worst. 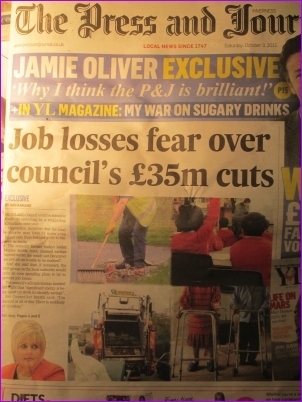 The worry is that at a time when Highland Council is scratching its head and working out how to cut the budget by £35 million (and there is a suggestion in the P&J that it may even be more than that) then hard pressed departments and officers who may now be able to help plot out other options and deliver them might not even be in position next year. 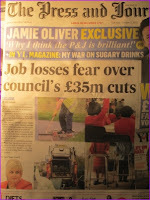 Just what will be left of Highland Council and its arms-length off-shoot Highland Highlife after the cuts are agreed? There are those who maintain that Nairn doesn’t get its fair share of resources already and so we will lose disproportionately. 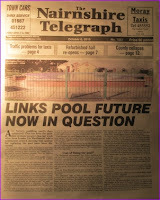 Can we be sure that what is left locally of Council resources after the cuts will even be able perform it’s existing functions let alone project manage the transformation of the paddling pool into something else (even if massive amounts of funding could be found and the community convinced that that is the best option)? 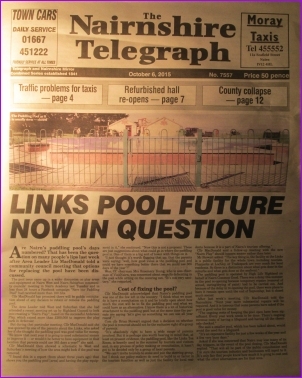 said: “The paddling pool is nothing to do with what Inverness gets, it is a Nairn common good asset and is funded locally by the common good money.” But it is the Highland Council and Highland Highlife who are intimately involved with the Paddling Pool and they are about to enter a cuts apocalypse that might see many sacred cows herded to the Glenquhart Road slaughter house. It's a new ball game and anything could happen. Let’s play safe and hunker down for the storm. It is not a time for further focus groups, it is time to draw a line in the sand and fight for what we have. The paddling pool works for Nairn, let’s keep it and let’s tell Highland Council that in no uncertain terms before the cuts come. It isn’t time to play Russian Roulette with one of Nairn’s iconic resources. Playing Russian Roulette in a paddling pool! Is that what Highland Council HQ are recommending? I guess that is more exciting than the big slide. What will 'Elf & Safety make of that? More or less risky than seagull poo? Makes sense to allow local Nairn parents to have a major view on a costs versus benefits option on the pool. The pool is great - but the same funds might be better spent still. Just a shame that our Community Councils haven't managed to raise the kind of lottery funds that many other Community Councils have. Great opportunity for new Community Councillors to make a positive impression. You may recall earlier this year that money was spent on temporary repairs to the pool just so that it could open this season. http://www.highland.gov.uk/news/article/8743/nairn_paddling_pool The structure of the pool is compromised and has been leaking water into the earth below it. It has always been our intention to have public discussions about the paddling pool, we are seeking as much information as possible regarding costs and potential changes before any consultations take place. There have been no decisions made over the pool but money will have to be spent on it one way or another. The paddling pool was used by 1783 people this year since July 30th. I hope there will be a lot of engagement coming from the community over this. Well done Cllr Fuller. Good to see a real parent of local youngsters playing a lead role. Now might be a good time to remind all the local councillor's that they are there to represent the people of the town and not the officials. Why is the pool in such a bad state? Why has there been a failure to maintain it properly? Is going down the number route of how many people use the pool relevant? There are too many factors which could impact this such as the weather during the opening season, the length of the opening season (pool shut for repairs etc)? Have any user numbers been recorded over a sufficient number of years to allow proper comparisons? If there are statistics how accurate are they? Let's not get bogged down on a numbers game. Also, any repairs need to be done before a season starts and not at the beginning or middle. Our paddling pool is one of only a few remaining in Scotland. It needs a new vision and it needs a mega-spend to keep it or renew it or replace it. I'm reassured that our councillors are listening to local parents of our youngsters. We should be aiming for the best low-cost / no-cost facilities in the North of Scotland - and that would require much more than just the Council. Think big - and get involved with the rest of Nairn's parents who have already agreed to work with the Councillors.